Last month’s “hideous” Paris Jackson cover is soon to disappear from newsstands as Vogue Australia unveils its newest issue. To coincide with The House of Christian Dior turning 70 and with a commemorative exhibition being held at the NGV art gallery in Melbourne, Aussie Vogue dedicates the entire August 2017 issue to Dior. 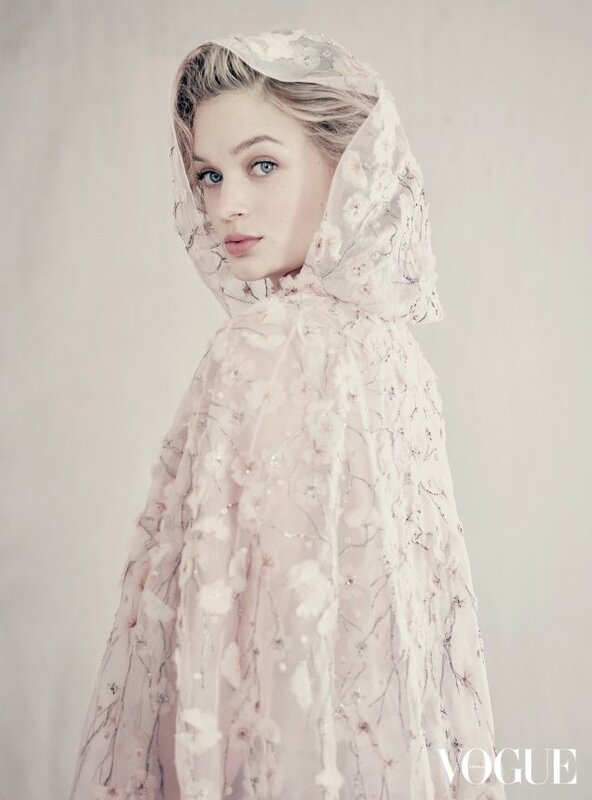 Bella Heathcote fronts the collector’s edition wearing a stunning haute couture creation from the legendary French fashion house in a delicate and dreamy cover image photographed by Paolo Roversi. Many of our forum members liked what they saw. “Bright, beautiful, very lovely — I love this cover!” announced bluestar. “Very airy and cooling for August. When Vogue Australia are good, they’re really good,” commented gazebo. “This one looks set to be their best covers for 2017! Love the airiness and ivory tones. Paolo Roversi’s recent work failed to impress me, but here it seems he’s back in top form. He’s unlike the rest of the signature photographers in the sense that, with an expert team, he can bring something fresh to the table time after time,” Benn98 raved. “It’s just stunning! Beautiful cover,” admired narcyza. The cover didn’t cater to everyone’s tastes, however. “If they are really serious about a collector’s edition commemorating Dior, they should have used a model on the cover i.e. someone who could encapsulate the Dior woman and highlight the clothes and saved Bella Heathcote for a different issue. Still, the dreamy nature of this cover has its charms,” said forum member magsaddict. “Waste of Roversi, his unique vision and talent. This looks like usual boring [Patrick] Demarchelier only with different lighting,” said an underwhelmed MagFan. Await more from Bella’s cover story and let us know what you think of the cover here.